Another anomaly, not sure why but this works. Three simple ingredients living in harmony that will make your mouth Happy! 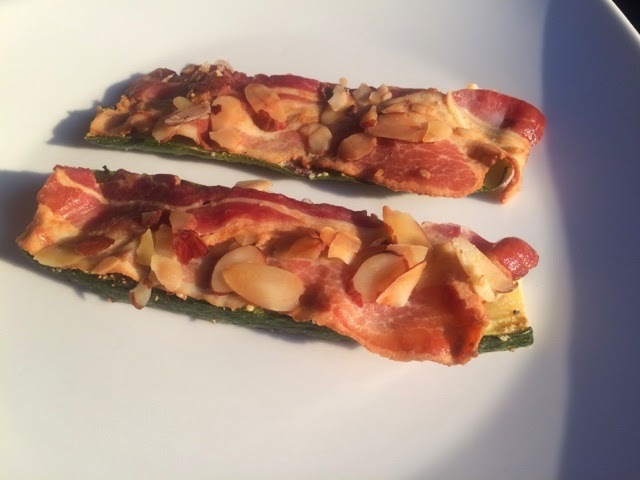 Layer in this order in baking sheet lined with parchment paper: Zucchini, then few Sliced Almonds, then a slice of Bacon, and top with a few more Sliced Almonds. Bake at 375 degrees for about 15 minutes until the bacon is desired crispness.